Small and mid-size businesses rely on their technology more than ever before. As a result, organizations are constantly exploring ways to efficiently support their hardware, software, and network as a whole. 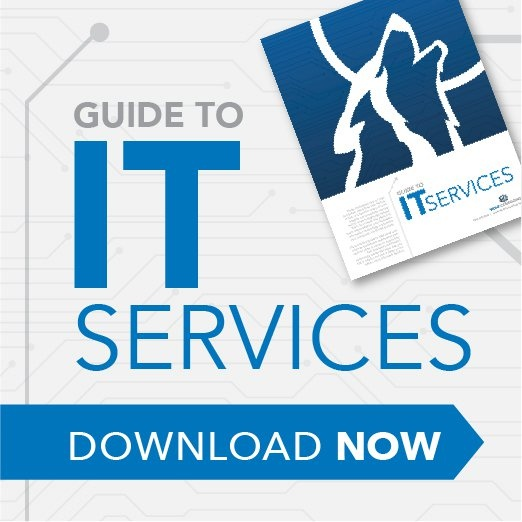 Our Guide to IT Services will help you understand the options available to your company and put you on a path toward finding the right solution. Nearly every small and mid-sized business (SMB) has critical data, information, and systems that it couldn't do without. From email servers, to customer databases, to critical data files — losing any of them for very long would be disastrous for the bottom line… and possibly even put them out of business. There are often BIG differences between what business owners and managers “think” they have regarding backup and recovery compared to what they actually have. Because backup and disaster recovery is definitely an issue you want to pay attention to before you need it, here are six critical questions that every owner and manager should know the answer to for their business. Are You Spending Too Much Time on IT... and Too Little Time on Your "Real" Job? Having your computer technology fail you, or taking a business owner or key employee away from their "real" job can have a terrible bottom line impact on your company. Trying to sort out problems or determine the best long-term strategic plan yourself, or having an employee with little or no professional IT training do it for you, can actually end up costing you a lot more than it saves in the long run. The relationship between small and mid-sized businesses (SMBs) and Information Technology (IT) can often be described as a “love/hate” relationship. You absolutely rely on computer technology to help your business run efficiently, but IT is most likely not one of your core competencies – and just keeping your systems running can be a major undertaking that distracts you from business-building activities. For small and mid-sized businesses (SMBs) in today’s high-tech society, Information Technology (IT) has become a significant consideration. Implementing new technology is a challenging job for SMB owners and can cause numerous difficulties in day-to-day operations. Many SMBs are finding Managed IT Services as a solution to get the most from their IT investment.